Home Sweet Home. 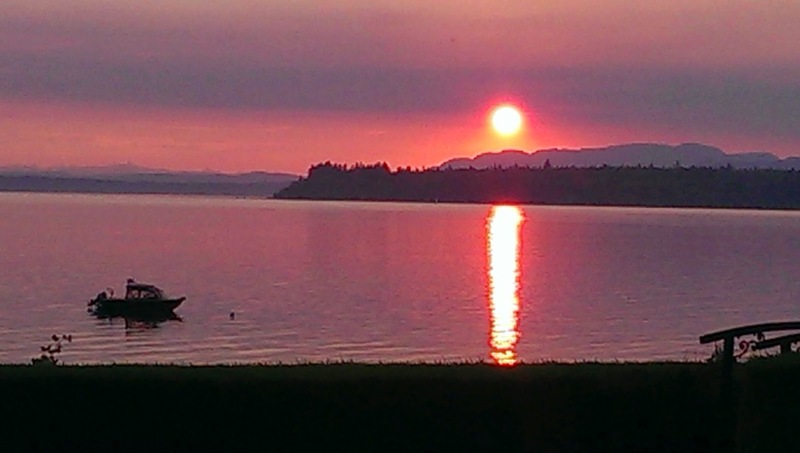 Cortes Island, BC. As you know we are in the process of preparing for our trip through British Columbia north to Yukon Territory and Alaska. We have heard and read (check out Barb Rees book "RV Canada's Far North on a Dream") that mosquitoes and black flies can be a bit of a pain. 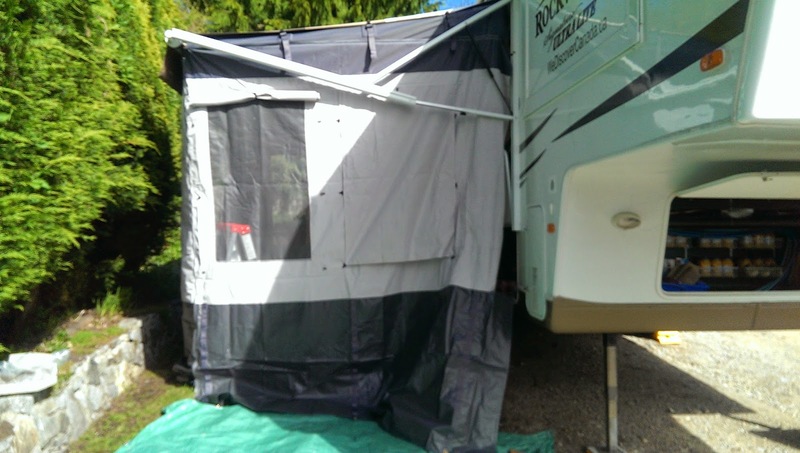 We did a lot of research to see if we could find a screen room for our awning on our trailer. We came up with a great solution from Carfree of Colorado. They have a screen room; "The Vacation'r Room". Two of three walls up. The skirting will also be added later. All walls are up. Will set up the skirting next time. I phoned Carfee of Colorado just to confirm that it will fit our trailer. 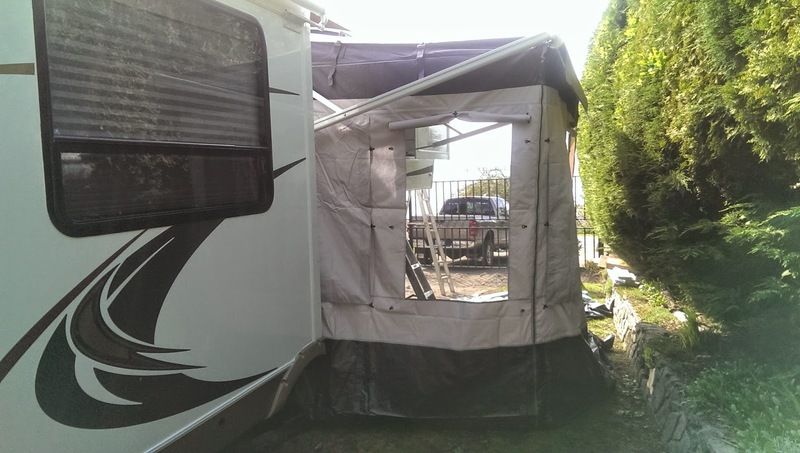 You need the make and model number of your current awning and they will tell you what screen room fits. 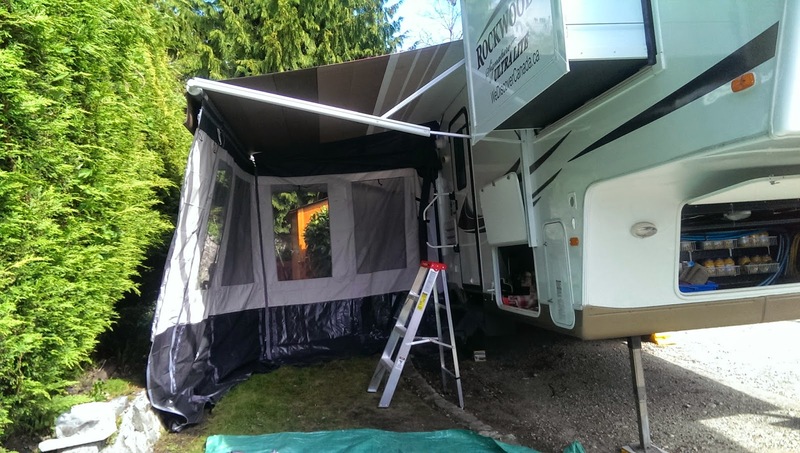 Once we had it all confirmed we called 877-340-5561 our local dealer Bill Howich RV and Marine (talk to Rick Hansen) in Campbell River, and ordered one in. They always do a great job. 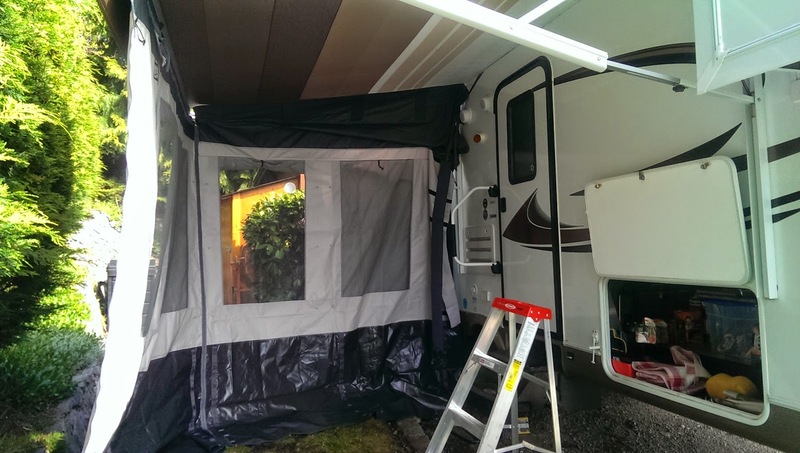 Once we got the screen room we set it up in our yard to see how it works and fits. All looks well and it will go up fairly easy (not in 5 minutes that some claim) once we are used to it all. This screen room will not only protect us from pesky mosquitoes, but it will also give us a lot more outdoor living space. Did not have time to set up the skirting, as rain was quickly approaching. Will do that next time. Over all a great quality product.